The Kogi State Police Command yesterday paraded seven suspected members of a killer-gang, allegedly led by Hamidu Yakubu. 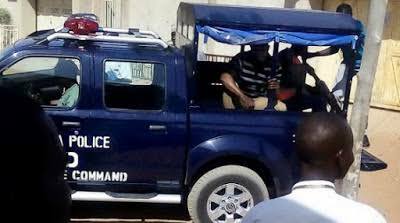 During their parade at the command headquarters in Lokoja, the suspects confessed that they killed a police Inspector, Abdullahi Alfa, and four vigilantes, last November. Abdul Tijani, 27, who claimed to be a member of a vigilance group at Ogwalawo in Ofu Local Government Area; Julius Alhassan, 38; Ibile Attah, Onuche James, Aku Audi and Shehu Atahiru. The suspects, who fingered Yakubu as their leader, claimed that their sponsor(s) told them who to kill at Ogwalawo and Ejuke, both in the same local government area. Yakubu, who claimed to be a 2014/2015 graduate of Guidance and Counselling from the Adekunle Ajasin University (AAU) at Akungba-Akoko in Ondo State, denied being the leader of the gang. But he admitted to ownership of an operational AK-47 rifle. On the killing of the inspector, Attah said the gang members used cutlasses and an axe in the former’s murder, while Tijani said though he fired several shots at the victim, he did not realise he was a police officer.